I have only 45 minutes to complete this blog post as my life is now measured in brief spans of uninterrupted time. B is supposed to be down for her second nap of the day and will only give me 45 minutes on a typical day. That is how I made Cade's birthday cake, in many micro-stages of work scattered over two weeks. 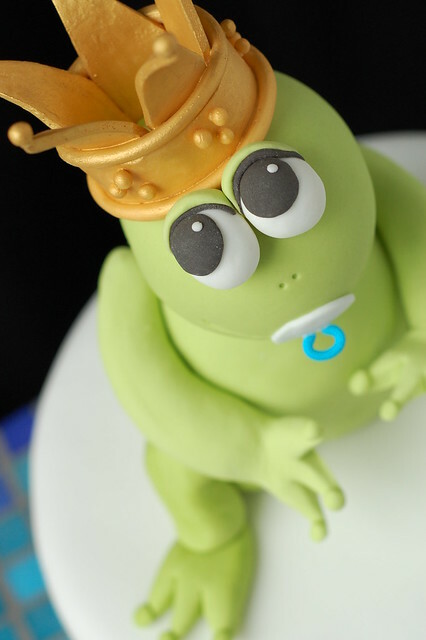 First I made the crown and then the fondant covered Rice Krispie head and torso. Eventually, all decorative parts were made and only the actual cake was left to finish. The design was chosen by mom, based on the beautiful cakes by Betty's Sugar Dreams. Cade must have liked the first cake he tasted in utero because I made mom's baby shower cake too! The 10" round chocolate cake was layered with strawberry mousseline and fresh strawberries. My favourite detail has to be the gold crown. I usually pipe my own lettering but my new habit post-partum is to shop online so I bought the FMM Funky Alphabet Tappits that I have wanted for a while. 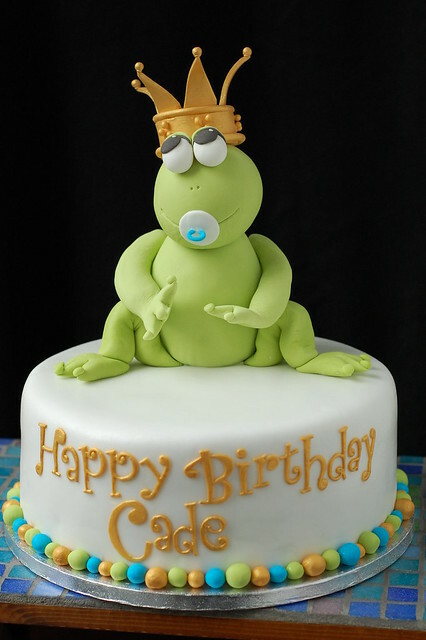 Happy 1st Birthday Cade!